With gas prices expected to rise 60 cents by May of this year, there has never been a better time for the perfect app to help you save money on gas. I just purchased iGasUp for a whopping .99 cents and I have already recouped my investment. 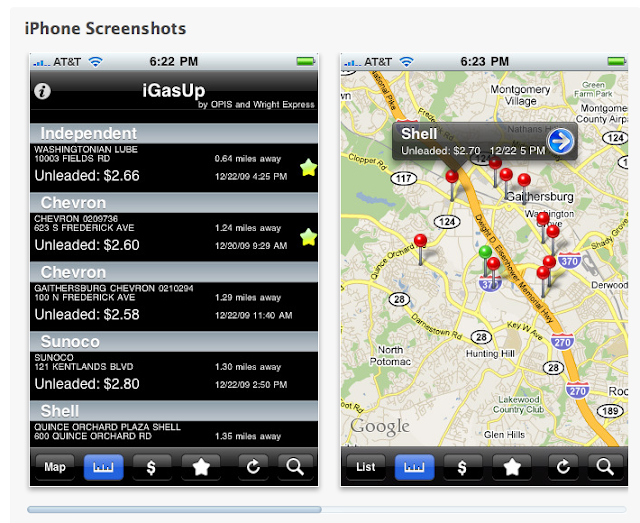 I used the iGasUp app to locate the nearest and least expensive gas for sale in my area and I saved 10 cents a gallon. Not bad when I put 25 gallons of gas in my huge Suburban 4-6 times a month. Just imagine if a family of 2 saved $30 a month? That would be good. Just imagine if a family of 3 drivers saved $45 a month? That would be good too right? Okay so you get the idea. Get the app and save! !